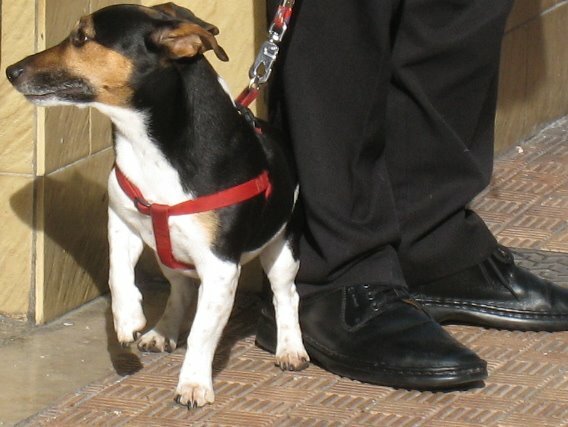 This little Jack Russell terrier is not a happy camper. 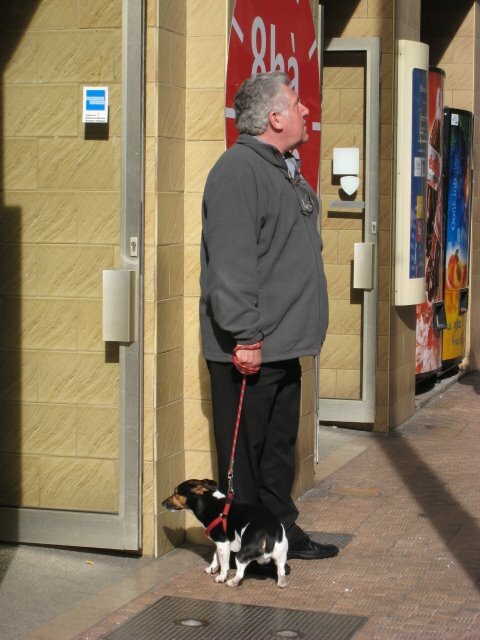 Waiting outside the shop with his Dad, he wants his Mum. A few minutes later, she came out of this Menton supermarket. Result: one happy little dog.